Home prices have increased at a historically high rate over the past few years, and according to the Case-Shiller index, it looks like this trend will continue. Buying now means you could get a better price than if you waited a few more years, potentially saving you thousands of dollars. Plus, a home is a huge financial investment, and if prices do continue to rise that means your home could appreciate in value. Mortgage rates are historically low right now, but the Federal Reserve has plans to put in place stricter monetary policies in 2018, which could increase mortgage rates. Buying now could allow you to lock in these low rates, potentially saving you tons of money in the long run. Istead of putting that money towards interest, you can put it towards something that’s more important to your family and your resale value, like hardwood floors, granite countertops or a soaking tub in the master bathroom. Homestead residents have access to the highly rated Schertz-Cibolo-Universal City ISD, but changing schools can be disruptive for kids both academically and socially. By purchasing a new home in the beginning of the year, you can get your kids enrolled in time for the next school year, making the whole moving process easier. And even if you don’t have school-aged kids, a great school district can increase property value and put you in a better position if you ever decide to sell your home. Homestead’s amenities are already under way and are expected to be complete in 2018. This means that as a new Homestead resident, you’ll have the opportunity to enjoy brand-new amenities shortly after moving in. Imagine having a resort-style pool and splash pad, state-of-the-art Fitness Center, nearly five miles of trails and so much more that’s all practically in your own backyard. As one of Homestead’s first residents, you’ll have some unique opportunities. Homestead’s Lifestyle Director will plan a year-round calendar of events and activities that is tailored to residents’ interests. You’ll be able to help shape and influence the type of community you want to live in, whether that includes group workouts in the Fitness Center, swimming classes at the resort-style pool, community picnics on the great lawn or book clubs at the Activity Center. 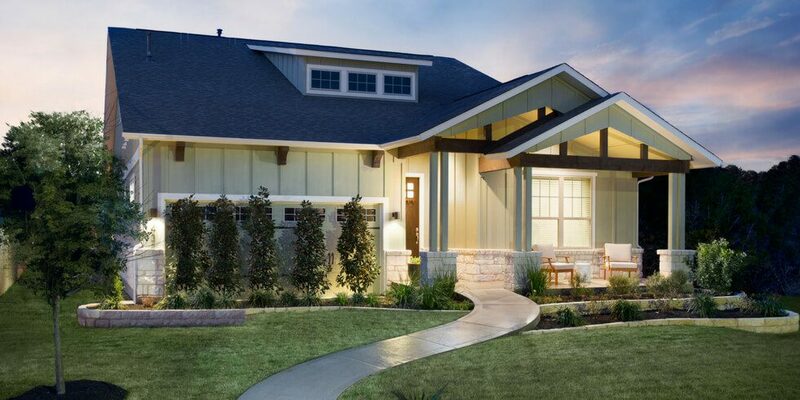 Visit Homestead’s model homes seven days a week and find your new home. To learn more about Homestead and everything it has to offer, join our Founders Club.